“What was once simply a means for farmers to offload the glut of their fresh produce to villagers, is today a Saturday-morning social institution in cities across the country. So, when did produce markets become the hip hangouts they are now? In the Western Cape, many may argue that it all started in 2006 with the opening of Justin Rhodes and Cameron Munro’s neighbourgoods market in the then-unfashionable suburb of Woodstock. Club-hopping Capetonians realised that they could dance all night then nurse their hangovers the next morning with a cup of free-trade organic coffee and a honey-cured bacon and free-range egg sarmie in a shabby chic Victorian warehouse. All of a sudden being conscious of where your vegetables came from became cool, as did knowing what set handmade, wood-fired ciabattas apart from store-bought loaves, and how to discern between hand-pulled fior di latte and those tennis ball-like globules passing for mozzarella in supermarkets. Up north, the Pretoria Boeremark has been going at it for 18 years now, way before it was considered the in-thing to do. It offers a more authentic, if slightly less glitzy, farmers’ market experience but still boasts everything that discerning marketgoers have come to expect since the upsurge of market madness: an astounding array of fresh produce (often sold by the farmers themselves), a bustling, convivial atmosphere and more than ample seating to watch the interesting people go by. These days, it seems as if every farm that has three carrots and two cabbages too many are setting up stall. Of course, this is good news for mart mavens, since the proliferation means that marketplaces are going out of their way to distinguish themselves from their neighbours, be it by offering extras like pony-rides, babysitting facilities or artisan ales on tap. Whatever each market’s unique drawcard, one rule remains the same: best come early! 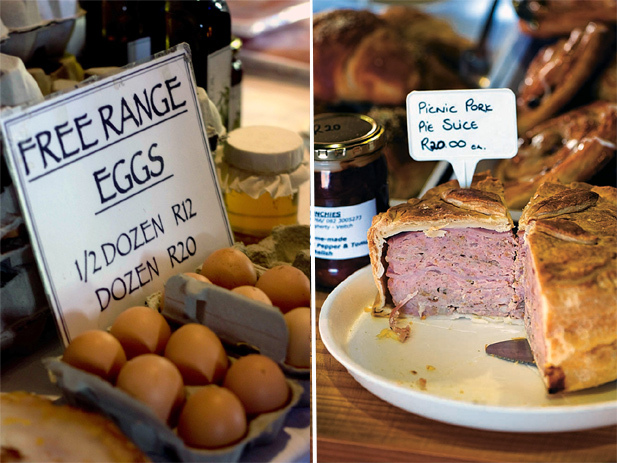 Herewith South Africa’s top 10 food markets – in no particular order. 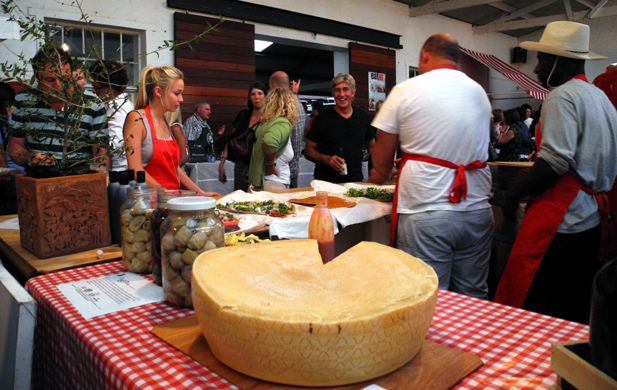 The mother of Cape Town food markets and a weekly social event – come early if you’re a serious foodie shopper or give yourself over to the frenetic mid-morning hustle and bustle of sampling wares and queuing for paper thin crispy pizza to share, a scoop from a gigantic paella, or the popular bacon-and-egg rosti. Open Saturday 9am to 2pm, find directions here. This multi-award winning market draws a crowd of regulars reluctant to share their secret. It has exploded over the years with the variety on offer expanding from week to week. Expect farm fresh fruit and vegetables, the best muffins in town, freshly baked breads, jams and more. Find out more about the stalls. This market, created by foodies for foodies, dictates that all produce has to be from KZN. 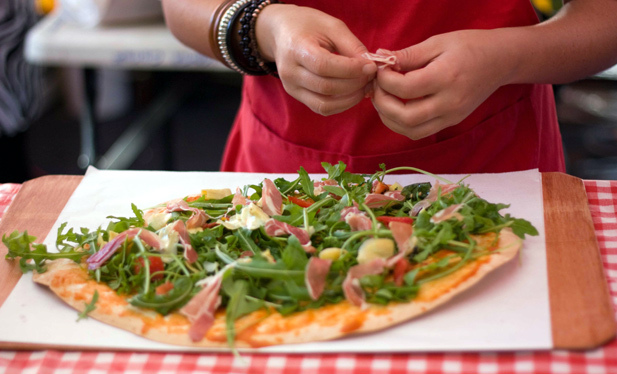 There are fantastic pork products, free-range ducks and chickens, homemade Italian-style cold meats, baked delights, cheese and anything else your hungry heart desires. Find out when it’s on. A virtual market that sets up shop three times a month. The first Saturday of the month you’ll find them at the African Swiss Restaurant, Broederstroom, on the third Saturday they’re at Greenlands in Parkhurst, Johannesburg and on the last Saturday of the month at Alte Backstube, Kroondal, Rustenburg. They stock a delicious, ecologically sustainable range of farm produce, food and drink. The boeremark is where dedicated marketers go at dawn for farm-style vetkoek and sosaties, while Hazel Food offers a suburban froth of cappuccino and jumping castles at a more civilized hour. Perfect pâtés, pickled peppers, crisp samoosas, organic vegetables, pretty cupcakes and nougat are always on offer. Find out when it’s on and also more about special events. This organic market started life more than 30 years ago as little more than a few farmers gathered round a bakkie. The emphasis is on quality, hand-crafted goods like natural cosmetics through to the freshest local produce. Organic pancakes, ice creams, honeys, jams, breads and cakes flank more virtuous produce like organic teas, flour, grains and pulses. Find out more about what’s on offer. This is the happening place on Saturday mornings along the Garden Route. Bring the whole family and your appetite – stalls offer everything from full breakfasts to spicy Mexican-style wraps and plenty of ready-made goodies to take-home. Find out more. This is foodie heaven in an old shed and exactly what the KZN Midlands is known for – fruit and veggies delivered straight from local farms, herbs, cheeses and yoghurt. Look out for baked goodies, preserves, pickles and more – and add a bunch of fresh flowers for the dinner table. Check out their facebook page for more details. This outdoor market under old trees is home to mostly organic produce, fresh vegetables and fruit, olives and cheeses, preserves and meat. Get there early as it sells out fast. Enjoy the fresh air and don’t miss out on the scrummy pancakes and freshest fruit smoothies around. Find out when it’s on. And there we have it, the 10 best markets chosen by Eat In. Are there any others that you think ought to be on this list or gems that you are keen to share? Let us know by emailing us or joining in the conversation on Facebook. And, if you haven’t already got your copy of Eat In, we recommend you get yourself one. Pronto. Thanks to Jules Durrant for the beautiful photos.